Wild salmon, historically, are born in rivers, swim to sea to live out their adulthoods, and find their way back to their freshwater spawning grounds to reproduce before dying. But dams and other barriers to spawning grounds have disconnected that natural cycle, requiring fisheries managers to get creative to support salmon populations. It is now fairly common to transport salmon to and from spawning grounds by truck, boat, and even helicopter. A report by the University of California, Davis, Center for Watershed Sciences and nonprofit California Trout assesses one such method of assisted movement over dams — two-way trap and haul — being proposed by federal agencies as a high-priority recovery strategy for chinook salmon populations in California. The report’s findings indicate that such programs should proceed with extreme caution, though they may be appropriate in cases where few other options remain to recover dwindling populations of salmon. What is two-way trap and haul? Two-way trap and haul involves capturing adult fish below large dams and transporting them to a release site above the dam to spawn. The resulting juvenile fish are then captured, transported and released below the dam, where they will continue to grow or migrate downstream to the ocean. Fisheries managers in California hope this process helps Central Valley spring-run chinook salmon and Sacramento River winter-run chinook, which are listed, respectively, as threatened and endangered under the federal Endangered Species Act. Most major rivers are dammed in California, which has eliminated access of wild salmon to most of their historical spawning habitat. This is a major cause of their decline. Two-way trap and haul has been tested in the Pacific Northwest with uncertain results, and challenges remain. Capturing large numbers of small, out-migrating juvenile salmon before they enter reservoirs. The delayed effect of transportation on salmon: While they appear healthy upon release, stress from transport and other factors may increase their risk of death later. Long-term sustainability of above-dam populations. The unclear influence of hatchery programs on two-way trap-and-haul programs. Salmon numbers may increase when both hatchery and two-way trap-and-haul programs are in place. However, if an increase in adult returns is primarily due to hatchery production of semi-domesticated fish, two-way trap-and-haul programs will contribute little to wild fish production. Clearly defining and measuring success. Treating each project as an experiment so the likelihood of success is determined early on. Ensuring that the project is part of a broader conservation strategy. The report concludes that even successful two-way trap-and-haul programs “will not save winter- or spring-run chinook in California but only prolong their decline to extinction” unless they are part of a much more comprehensive program. “Saving salmon requires managing these amazing fish for their entire life cycle, from eggs in the gravel to adults returning to spawn,” said co-author Peter Moyle, professor emeritus with the UC Davis Center for Watershed Sciences. Such strategies include dam removal, restoring historical floodplain habitat, upgrading water infrastructure, managing the release of water from reservoirs for fish, improving management of fisheries, and improving juvenile survival through the San Francisco Estuary. Interested in a career studying wildlife and its habitat? 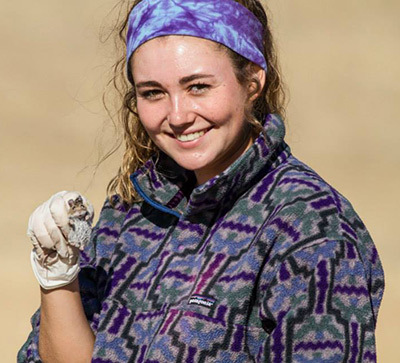 This major prepares students who are dedicated to animal conservation and interested in the resolution of conflicts between people and wildlife. Students learn hands-on research skills and work closely with wildlife conservation organizations. Read more on our majors blog. 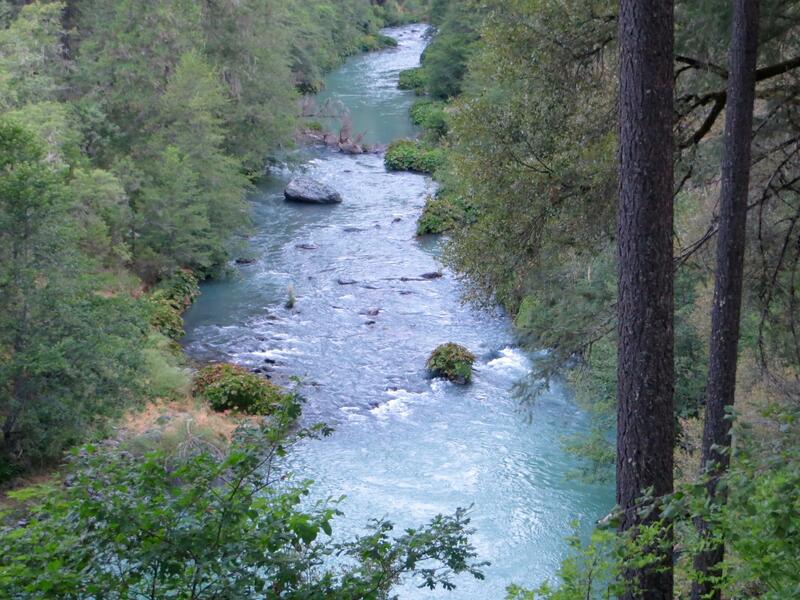 NOAA Fisheries recovery plans for endangered Sacramento River winter-run chinook salmon, threatened Central Valley spring-run chinook salmon, and Central Valley steelhead include diverse strategies. These include returning diverted water to spawning streams, restoring historic habitat and improving water quality. They also propose reintroducing the native fish to spawning streams above dams using a trap-and-haul approach, and using adaptive management to fine-tune the strategies as biologists learn more.